The Recruit Intake 2018 Introductory Exercise 2 was conducted over the period 22nd – 23rd March 2018 in the Catterick Training Area. It was second experience for the 270 young Gurkha trainees living in field conditions and learning more field craft knowledge and skills. On the first day they were deployed out on the ground on foot with their personal equipment carried on their backs. They were shown a demonstration on how to judge distance and given an experience of how things or objects appear as the distance increases further in the field. 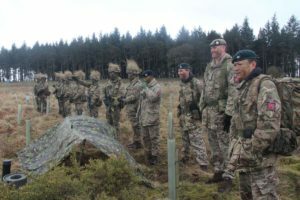 They were then given an opportunity to practice themselves judging the distance under the supervision of their own respective section commanders. 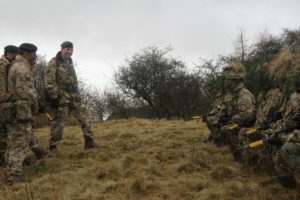 Further field craft lessons including duties of a ground sentry, indication of a target and reaction to fire control orders were delivered by the section commanders. On the second day, Commanding Officer 2 Battalion Infantry Training Centre visited the trainees and witnessed how the lessons are delivered. He was immensely impressed to see the standard and performance of the trainees in these early days of their training. 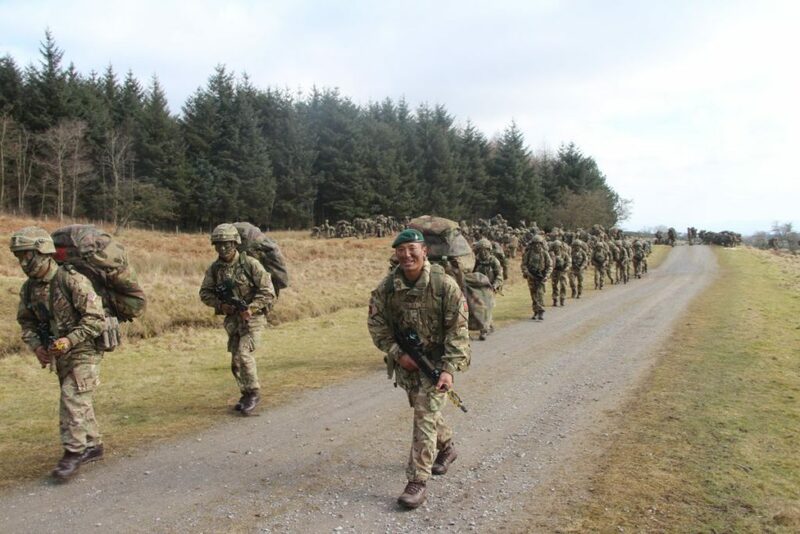 On completion of the exercise all trainees were extracted back to Camp on foot. 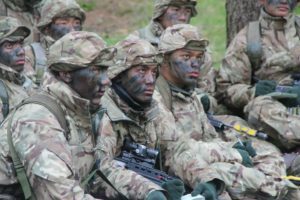 It was a huge stepping stone for the new trainees in their nine months intensive training with Gurkha Company on their way to becoming trained members of the British Army.